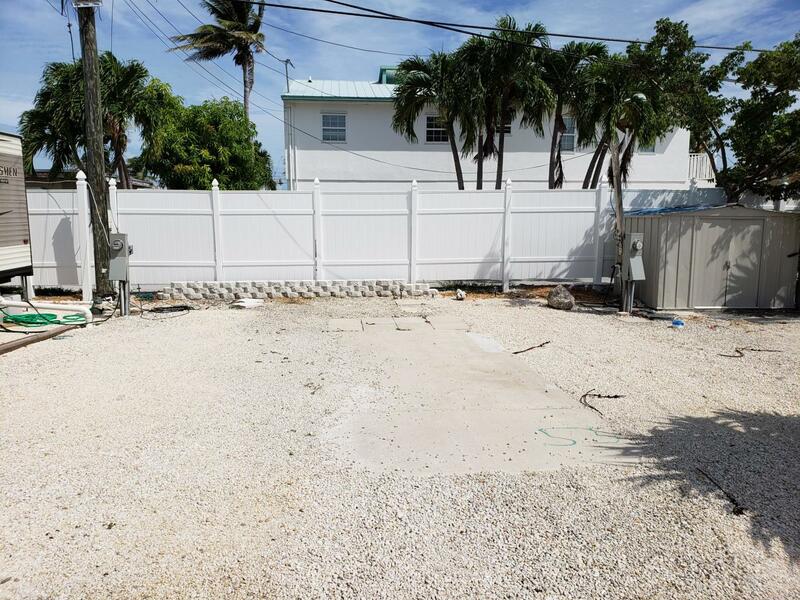 Permanent RV lot in Key by the Sea in Marathon, rock bottom price of $65,000. Close to shopping and only 2 miles from Sombrero Beach. Affordable living in the middle Keys. Community has a boat ramp, ocean front park, community room and more. Affordable living in the Keys. Own your own piece of paradise, Key by the Sea owners are not paying lot rent! You own the dirt and have low association fees totaling $155 per month, it's the lowest price around!